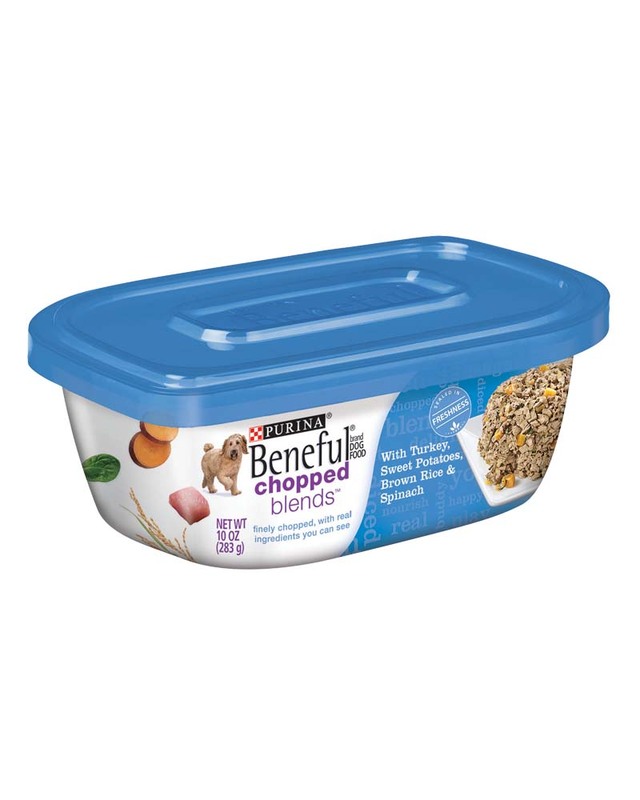 Start your new little puppy off on the right paw by feeding him Purina Beneful Healthy Puppy dry dog food. 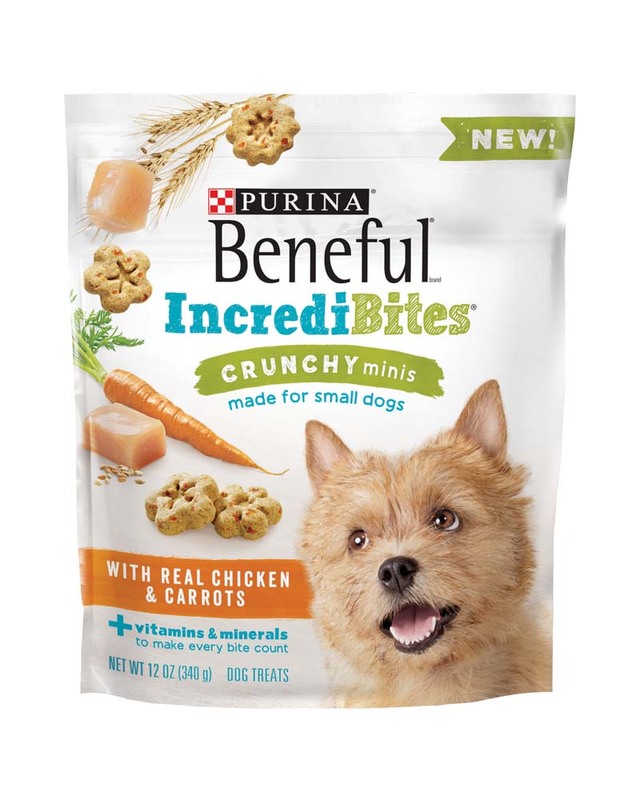 Because good food starts with good ingredients, this premium dry food for puppies features real chicken as its number one ingredient, as well as accents of real peas and carrots. This delicious blend provides 100% complete and balanced nutrition for puppies and is made with DHA to support brain and vision development. 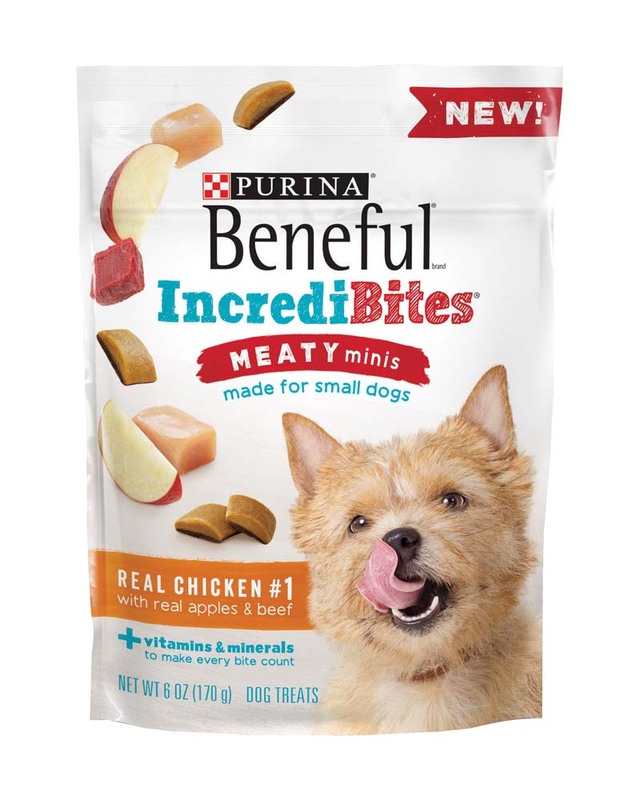 Your pup is sure to be excited for the satisfying texture of tender and crunchy mini bites that are made for his small mouth, and you can love the feeling you get from introducing him to great flavors while providing good nutrition. 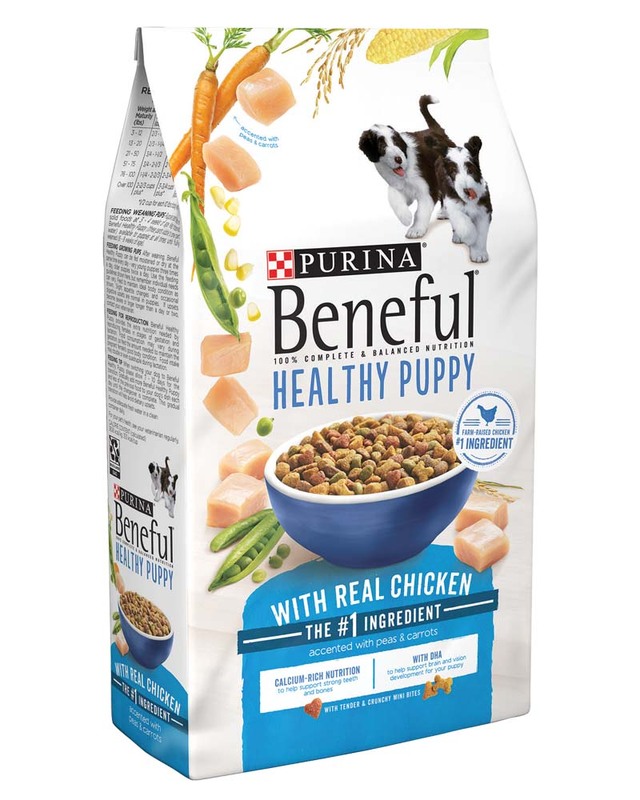 Fill your puppy's dish with Purina Beneful Healthy Puppy dry dog food, and get his life going in the right direction with healthy, balanced eating that also tastes great. 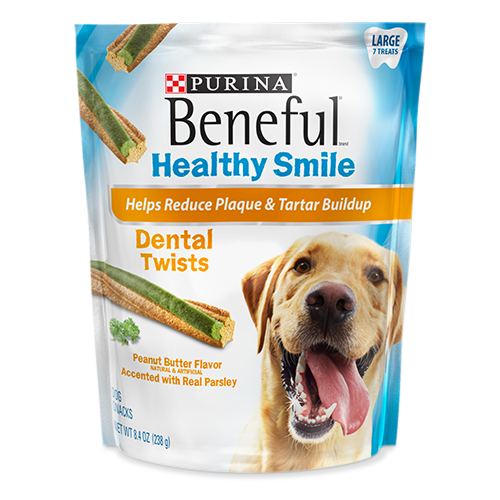 Beneful Healthy Smile Dental Twists help reduce plaque & tartar buildup in a dental treat your dog will love! While your dog is enjoying the natural and artificial peanut butter flavor accented with real parsley, they will also be helping to clean their teeth! Its a delicously wholesome way to help care for your dog's teeth! 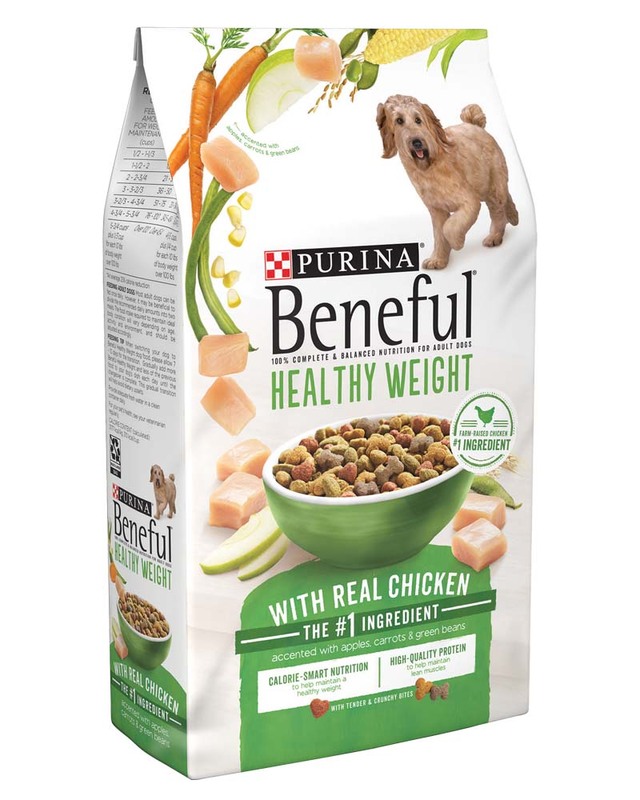 Give your dog the taste he craves while staying mindful of his weight with Purina Beneful Healthy Weight With Real Chicken adult dry dog food. 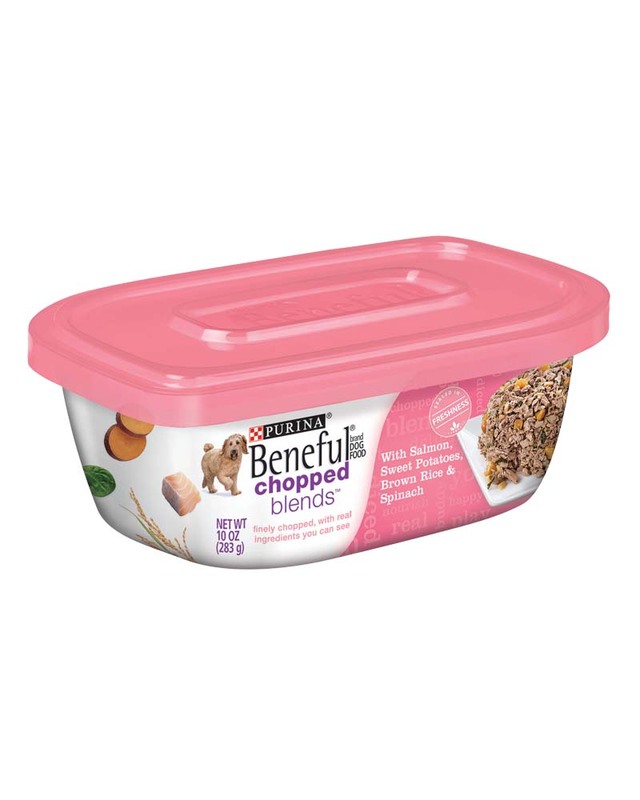 With 10% fewer calories than Purina Beneful Originals With Real Beef and no added sugar, this premium dog food offers calorie-smart nutrition with a taste your dog can wag his tail for. Real farm-raised chicken as the number one ingredient adds a savory flavor and helps to deliver the protein he needs to maintain lean muscles. And accents of real apples, carrots and green beans provide variety and wholesome goodness for your dog. 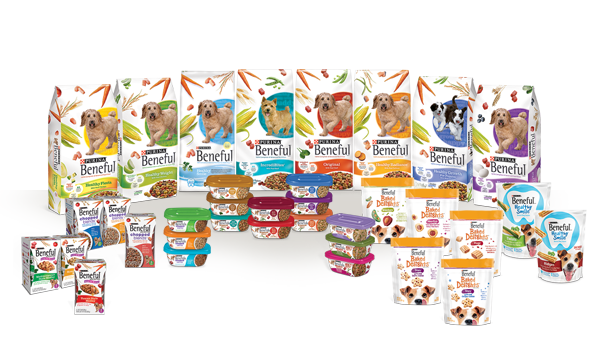 Feed your dog Beneful Healthy Weight With Real Chicken for 100% complete and balanced nutrition and show your adult dog you care about his health and happiness. Though your dog’s mouth may be small, it’s often in need of a big freshening-up. 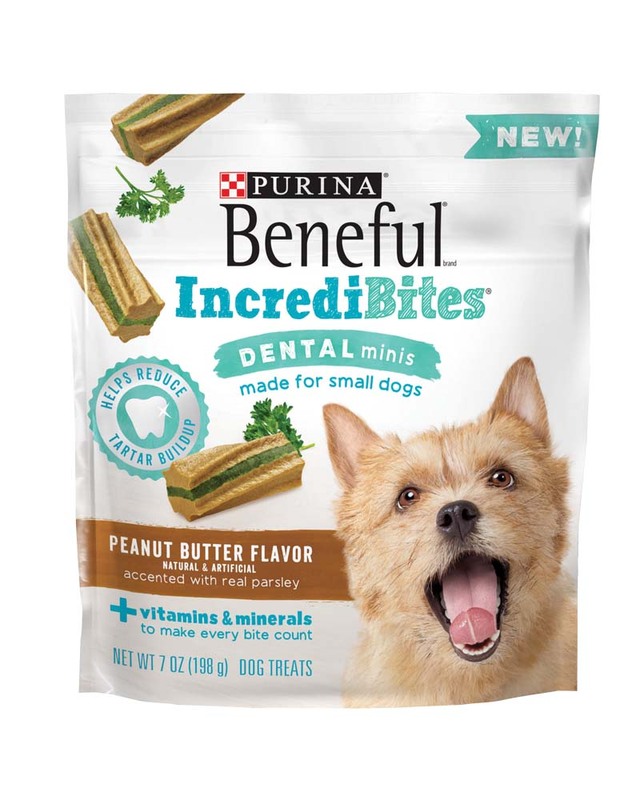 Thankfully, Beneful IncrediBites Dental Minis have the delicious flavor, unique twisted texture, and perfect small-dog size to get the job done. 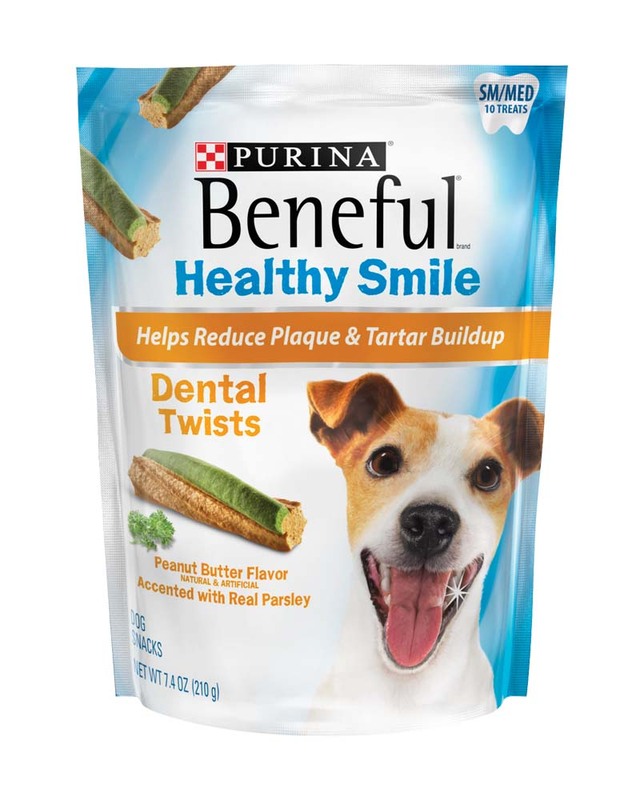 And because these teeth-cleaning treats have essential vitamins and minerals, you can smile right along with your little buddy as he enjoys every delicious chew. From their little tummies to their larger-than-life personalities, small dogs deserve a special kind of treat to help keep them happy and at their very best. That’s why there’s Beneful IncrediBites Meaty Minis. Made with quality ingredients, these meaty snacks deliver a special mix of wholesome and oh-so-delicious in every little bite.